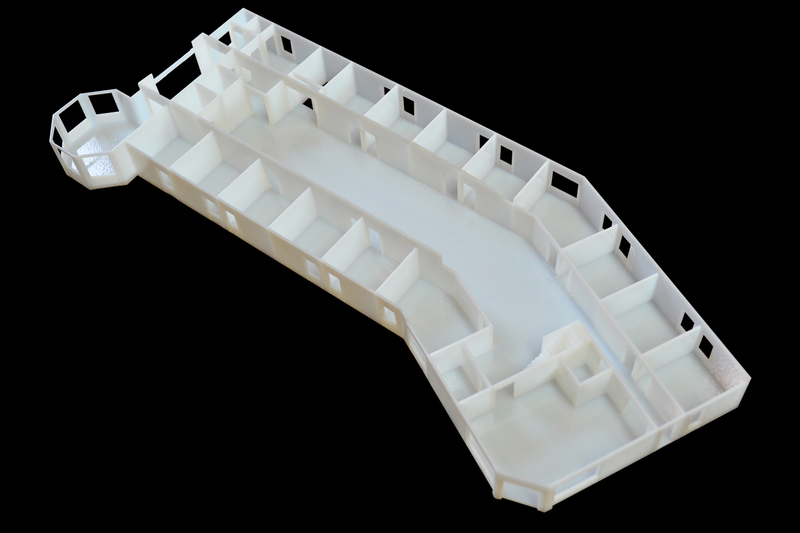 3D Printing has opened up new possibilities in the world of surveying. This technology allows us to scan and then replicate existing projects to scale for use in planning and construction. We continue to uncover new benefits to our clients with the use of 3D printing. Below are a few of the major advantages that you will find by using this technology. Visualization- Contractors, architects, and engineers can manipulate 3D models in ways that you cannot with a 2D CAD drawing. Bringing a project to life provides a tangible product and the ability to try what-if scenarios, identify potential design issues, or validate your plans design prior to construction. Precision with use of 3D scanning- Our 3D Laser Scanning technology allows us to collect accurate as-built data on site to create models of your project pre-construction. This eliminates the need for measurement of existing structures and sites to create a precise model that can then be used to visualize to scale the placement of additional construction. Client Interaction- There is no better way to effectively interact with clients or close a deal then to allow them to see a scale visualization of their completed project. 3D printing allows them to see and understand your design with a thorough perspective of the end result. Cost Effective-Creating a scale model of your site plan or project is the most cost effective way to help anticipate necessary alterations before unwanted features become permanent. With the accuracy and flexibility of 3D models architects and engineers are able to spend less time on the design stage of their projects. 3D modeling uses data collected from laser scanners allowing you to finish projects quickly, efficiently and within budget. To learn more about 3D printing and how it can assist you and your business, contact Zahner & Associates, Inc. today. Contact Us.